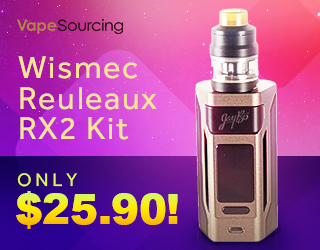 VapeDeal is back with another 48-Hour Flash Sale. 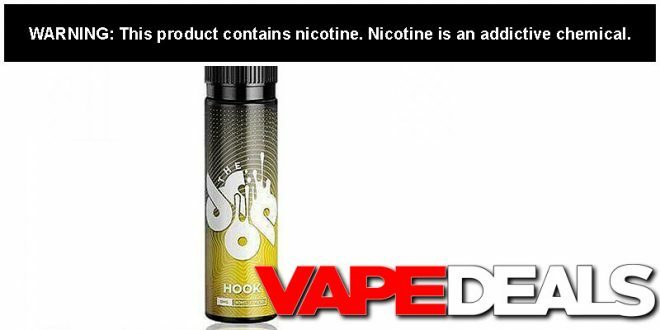 Act fast and you could pick up a 60mL bottle of Hook (by The Drop E-liquid) for only $2.95! No coupon code needed. Looks like all the nicotine levels (0mg, 3mg, 6mg) are still in stock too. As usual, there is a limit of 1 per customer, which seems fair to me. Just keep in mind that this offer is only valid until tomorrow afternoon (4/18)…or while supplies last. Stop by and claim a bottle for yourself before it’s too late. Shipping is FREE when you spend $75 or more. Flavor Profile: Hook is a tropical e juice lover’s dream, blending sweet and mildly tart pineapple with the flavor of authentic Caribbean-style coconut rum.